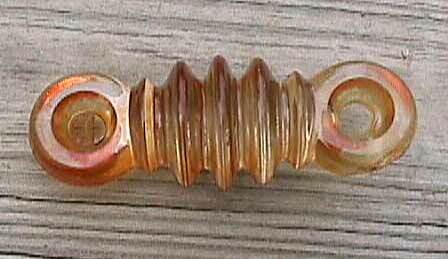 Pattern Description: Actual electric insulator used on electric lines. 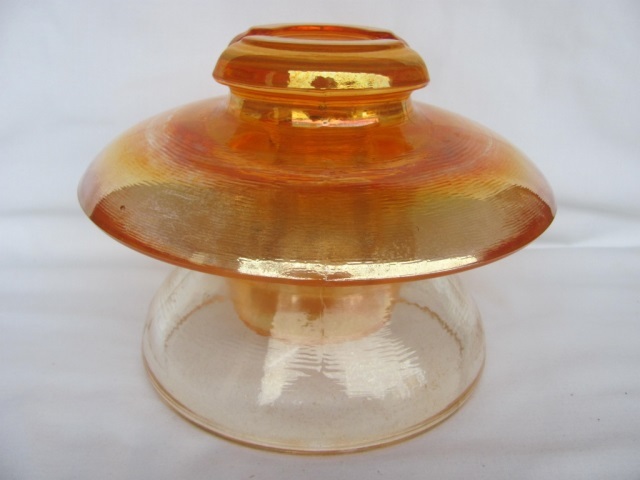 At one time, industrial glass manufacturers iridized glass for particular purposes–including electrical insulators. Apparently they thought the iridescence would somehow benefit the insulation quality of the glass. 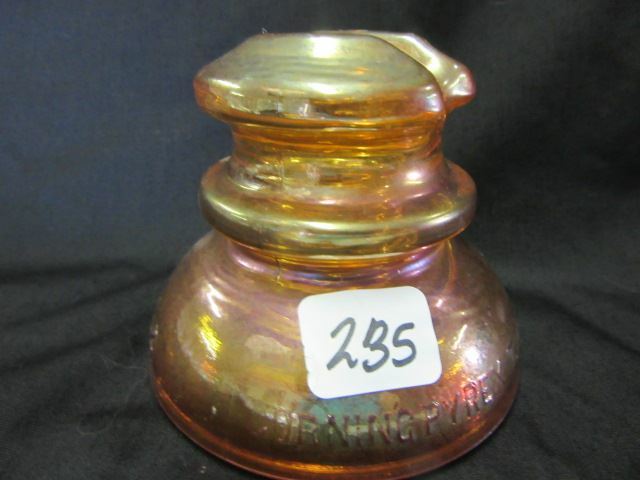 Most of the iridized insulators were made by Corning under their trade name, Pyrex. They are found in a variety of styles and sizes including the large one shown here which is referred to as a sombrero style. 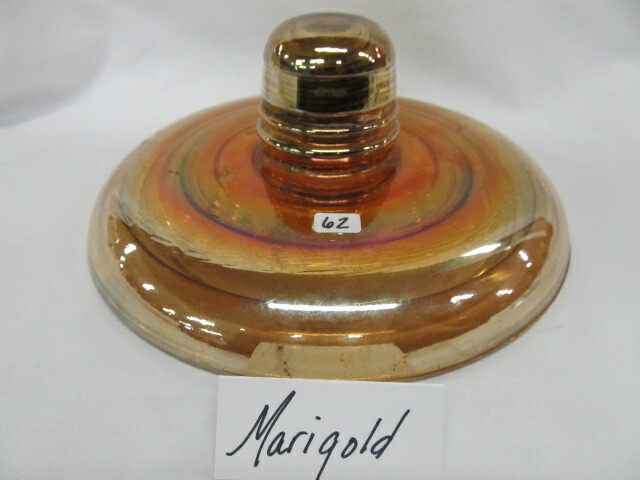 Insulators are known in marigold, and rare amber. The more ordinary examples, like that on the left, sell $15 to $25 at live auction, the sombrero for about $40. Most tend to bring more on eBay. 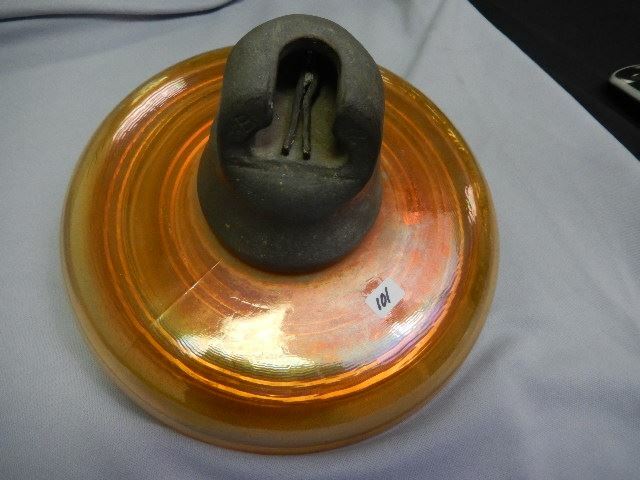 Here's an interesting insulator. It's marigold and 4 inches long. With a chip on one end, it sold on eBay in 2005 for $37. 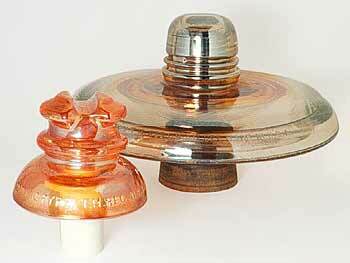 Most insulators, of course, were used on electrical poles, generally on the horizontal bar. Some, however, were placed on the sides of the poles using a special wooden bracket shown here.